The scenario faced by both Greece and the EU after the “No” vote triumphed in the Greek referendum is extremely complex. Few things are certain. One is that a Grexit is now more likely than ever, although still avoidable. Another is that the economic situation in Greece will continue to deteriorate rapidly, with shortages in key supplies heightening the anxiety among the population. And yet another, and probably most important, is that only a hefty dose of political leadership can now prevent the economic and geostrategic disaster implied by Greece’s exit from the euro. Unfortunately, leadership has been in short supply in Europe since the crisis started. 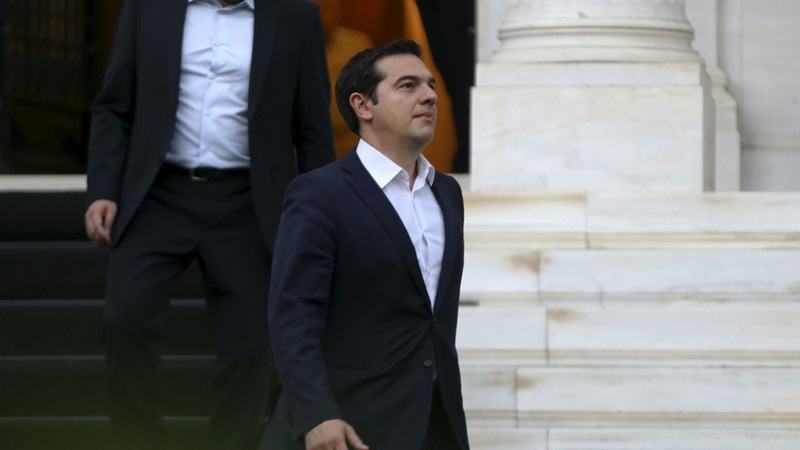 Since the left-wing Syriza government came to power in January, trust between the Greek government and the Institutions (previously known as “the Troika”) has vanished. The dominant narrative now features words such as conflict, blackmail and punishment, and those who used to be “partners” now go by the name of “creditors,” or even more unsavory terms. In such a tense atmosphere, an agreement looks increasingly like a pipedream. However, since most Greeks want to remain in the euro, and a cost-benefit analysis still suggests that it would be much cheaper for the eurozone to avoid Grexit, all efforts should be directed at reaching an agreement. It would be good to bear in mind that the worst nightmare for European creditors would be a Greece that is incapable of growing. For geo-strategic reasons, the EU will have to continue pumping money into Greece even if it leaves the euro to avoid seeing it fall under the Russian sphere of influence. Furthermore, the only way to achieve growth is through reforms, which are much more likely to happen if Greece remains in the eurozone and “solidarity in exchange for reform” – which has worked so often in the past throughout Europe – is set in motion again. The ECB will probably continue buying time by extending its Emergency Liquidity Assistance, thus allowing negotiations to proceed, although a deal must still be reached before July 20, by which time it will be impossible for Greece to pay back the €3.5 billion it owes the ECB. That will probably be the point of no return, because it will force the Greek authorities to issue a parallel currency to pay pensions and public salaries. Once there is a parallel currency in circulation, it will be virtually impossible to re-establish the euro as the sole legal tender. An agreement should feature the following. First, it should be politically acceptable to the electorates of all countries (the eurozone has 19 democracies, not just one). Secondly, it should ensure that structural reforms are actually implemented. OECD data show that Greece has approved more structural-reform laws than any other country (in itself a big first step) but their effective implementation is widely known to be more than problematic. That must change. Third, the new deal should downplay austerity and promote investment in Greece so that recovery can become a reality. This would probably require some form of debt relief, which is now more acceptable since it has been recommended by the IMF. However, this agreement would only work with the right incentives structure. A debt haircut is politically toxic and would be unacceptable to the creditors. Debt restructuring by stretching the time-span of the repayments into the future and lowering interest rates even further would be more palatable. In his latest work, Paul de Grauwe, one of the eurozone’s most-respected economists, argues that Greece is illiquid but not insolvent. That means that creditors can still get 100 percent of their money back (while forgetting about the interest payments). However, for that to happen, Greece urgently needs to get back into growth. Although his bluntness and forms are to be regretted, Yanis Varoufakis’ proposal that debt repayment be linked to specific growth levels is actually very sensible. Politically, it would allow both Merkel and Tsipras to claim victory in the usual ambiguous European way: Tsipras could tell the Greeks that he has gained a major concession while Merkel could explain to her taxpayers that this is the only option to incentivize the Greeks to pay their debts up to the very last euro. Nevertheless, this would be unlikely to be enough. Merkel, Rajoy and the other leaders of the eurozone need to reassure their voters that the Greeks will be serious about implementing their structural reforms. As Merkel has argued on many occasions, solidarity comes with responsibility and the mutualization of risk is only possible with the mutualization of control. That is a sensible approach too. At the same time, it epitomizes the eurozone’s main problem: for as long as the European monetary union lacks a fiscal union (capable of both centralized spending and disciplining), the euro will remain a fragile currency. The creation of a fiscal union, however, would imply ceding more fiscal sovereignty to the centre. In this regard, the Spanish government’s contribution to the debate on the reform of the eurozone’s governance is welcome. It has clearly stated that member states need to relinquish more sovereignty to the centre: if a country with a long history like Spain can accept that, why not Greece? Naturally, to create a genuine fiscal union the treaty would have to be changed, but there is no longer time for that. Greece needs an agreement before its banking system collapses. That is why we propose creating a special Euro-Greek Reform Commission, formed by both members of the Greek parliament and of the other 18 parliaments (to ensure co-ownership), which would be in charge of monitoring the implementation of Greece’s structural reforms. Such a commission, which could be formed by 15 members (seven Greeks and eight from the rest of the eurozone) should enjoy full independence and its assessments and recommendations should be absolutely binding to the Greek government. Notwithstanding the political and legal hurdles that such a proposal would entail, if Tsipras could agree to such an arrangement, Merkel would be able to return to Germany and convince her electorate that a third rescue package is necessary because Greece is finally getting serious about reform. Cutting it off under these circumstances would be a historic mistake. NB. This article was first published by El País. is a Senior Analyst at the Elcano Royal Institute in Madrid.